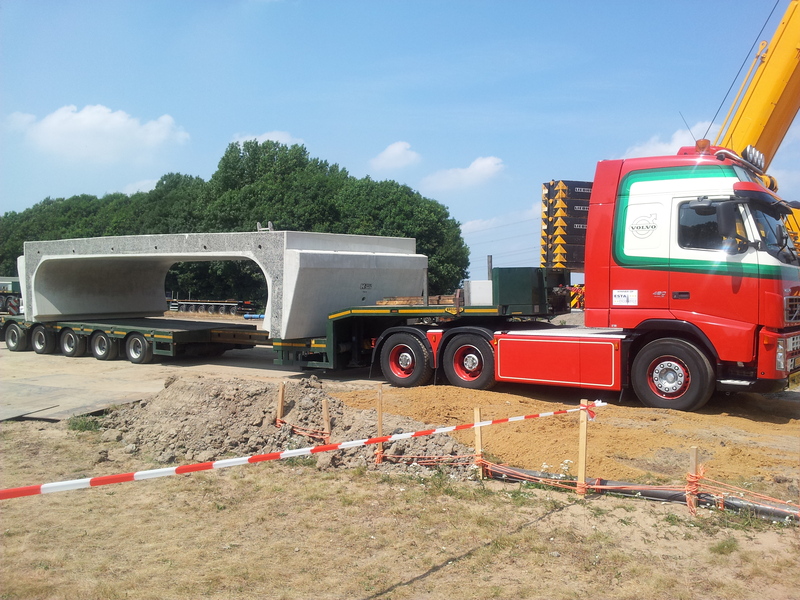 Building elements for the civil engineering industry… Just in time! 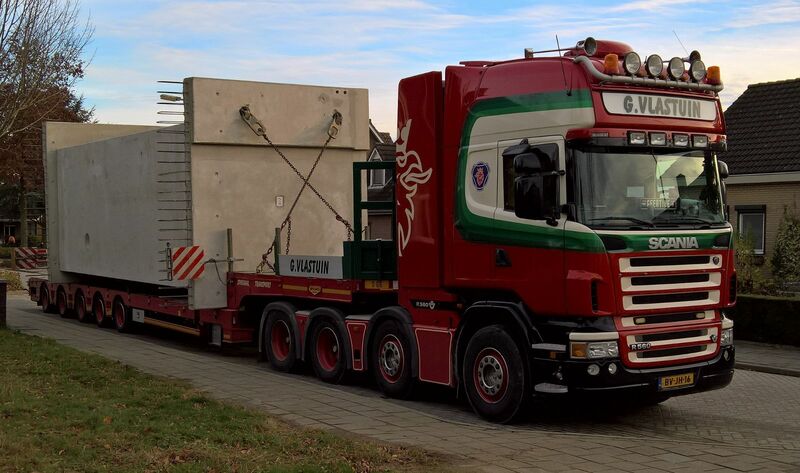 Building elements for the civil engineering industry always have to be delivered to the building site right on time. 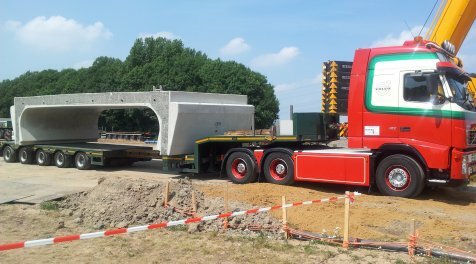 If not, the building process is at a standstill. 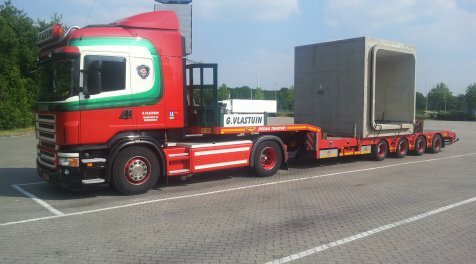 G. Vlastuin Transport understands this process like no other and is able to deliver just in time thanks to our clever approach and many years of experience, even when making international deliveries at intervals of no more than fifteen minutes. 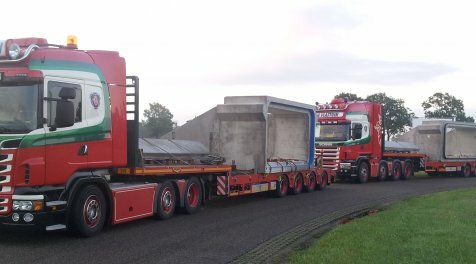 Regardless of whether the cargo consists of concrete, wood, or steel, and regardless of the size, we are happy to take care of your transport needs! 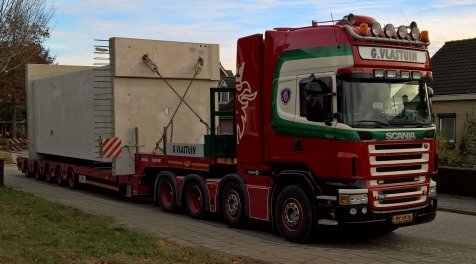 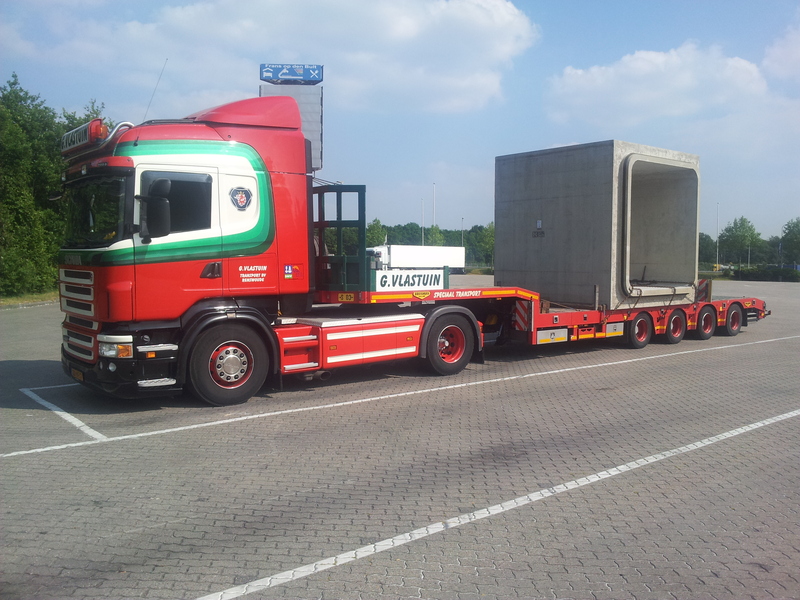 If you have any building elements that need to be transported, contact us now by calling (0318) 57 18 27 or sending an email to info@vlastuin.eu to have a constructive talk about the right logistical solution for your project!